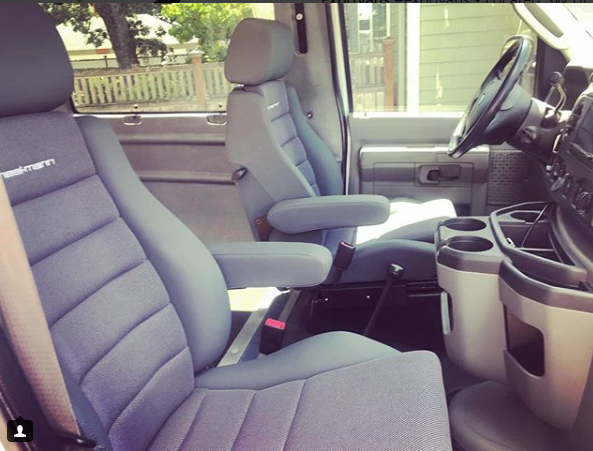 'new' front seats for E-350? Has anyone put different front seats into their E-series? Ours is an '02 and we'd like to upgrade the front seats. The 2nd row is a pair of Sienna seats. The kids love those. Any recommendations? 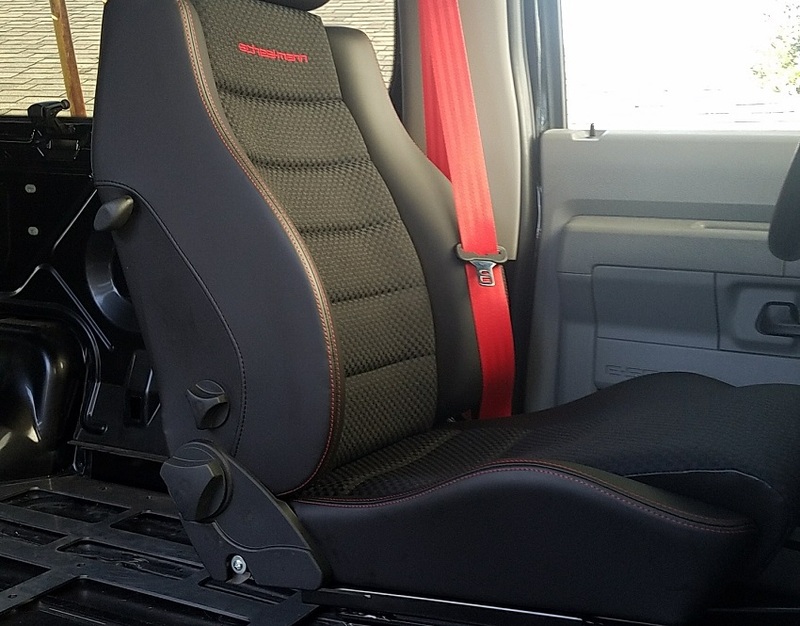 We have installed Scheel-Mann seats in a few E-series vans. Awesome seats! Thanks. They look pretty nice. I sent a pm thru your site. I found a pretty clean set of Chateau seats at Pick n' Pull ($100) and had a local shop refoam and reupholster them for another $700. Came out great. Much more supportive and comfortable than the stock seats and a direct bolt in. I am waiting for my Scheel-Mann seats with Expo Vans adaptors to arrive soon. I am very excited to get a quality seat in my E350. The stock seats always seemed pretty decent for an hour or two, then I start getting uncomfortable wiggling around and such. I look forward to long days in the drivers seat again. i put sprinter seats in mine. love them. Hey MG, will those work with the driver side electric base and swivel base on the passenger side in my 2008 SMB E350? Seat belt issues also? I've got the Sienna seats with MG Metalworks bases in my van. Although they are comfortable, due to my height and bad back, I'm still having issues on longer drives. I've been looking at a number of captain's type seats that will accommodate a taller person. I'm also looking for lumbar support, the ability to adjust to multiple positions and possibly an incorporated massager. So far, I've narrowed it down to Scheel-Mann, Excalibur and FlexSteel. It's quite an investment and I'd love to get some feedback from anyone with similar issues. I'm currently looking into how I can sit in or try out some of these seats to help finalize my decision. I also need to find out if I can mount the driver's seat a couple of inches further back to give me a little more leg room. I've done a couple of three week road trips (including 12 hour driving days). The stock seats were okay but I'd like to do an Alaska trip when I retire and I think the Scheel-Mann's will be my seat of choice when that time comes around. I got a pair of Scheel-Mann seats from MG. They are stupid expensive and incredibly comfortable! If you have the cash they a good investment to make the long drives significantly more comfortable.